Looking for luck? 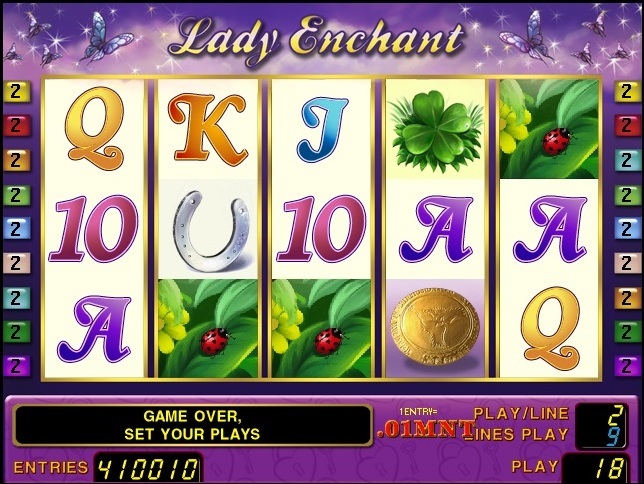 Then the Lady enchant is the right one to join in this new enchanting 9-line, 5-reel video slot game. Together with her great variety of lucky charms lucky lady pours attractive prizes on the players. 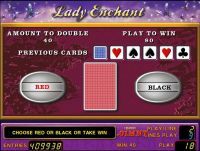 Lady enchant substitutes for all symbols except scatters and doubles when substituting. 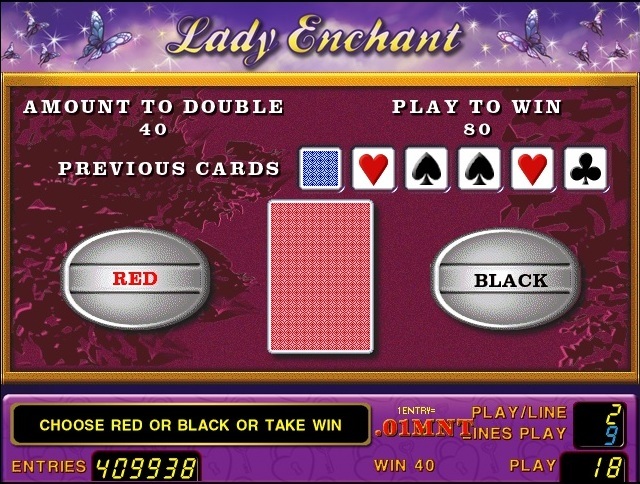 3, 4 or 5 HAND SYMBOLS scattered on the screen trigger 15 free games. Free games wins are multiplied by 3. Free games can be won again during the feature. 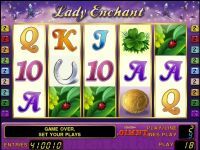 Free games are played at current bet.